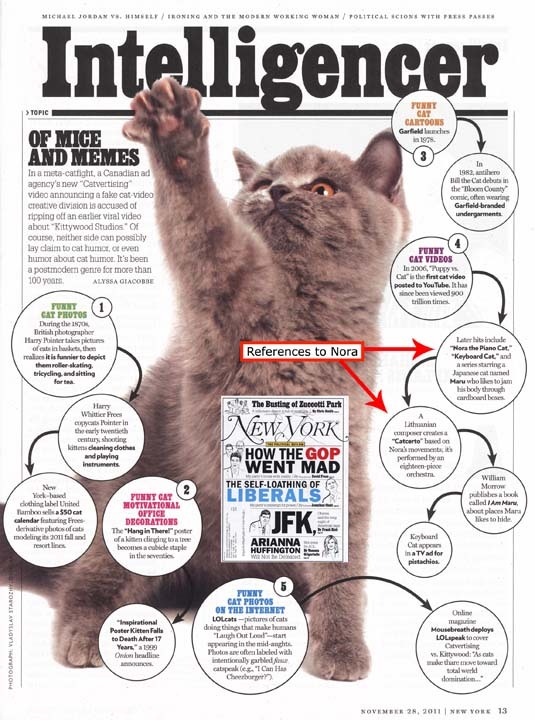 While visiting New York City today, B&B were surprised to find that the November 28th issue of New York magazine referenced yours truly (twice) in a short piece about cat humor. Funny how some folks just can’t take a piano-playing cat seriously. Perhaps if I stood up and told a joke, they’d write about my immense and remarkable talent on the ivories. So, a cat, a mouse, and a goldfish walk into a bar….